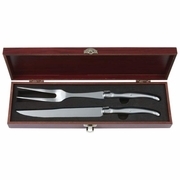 Slitzer Germany� 2pc European-Style Carving Set in Wood Box. 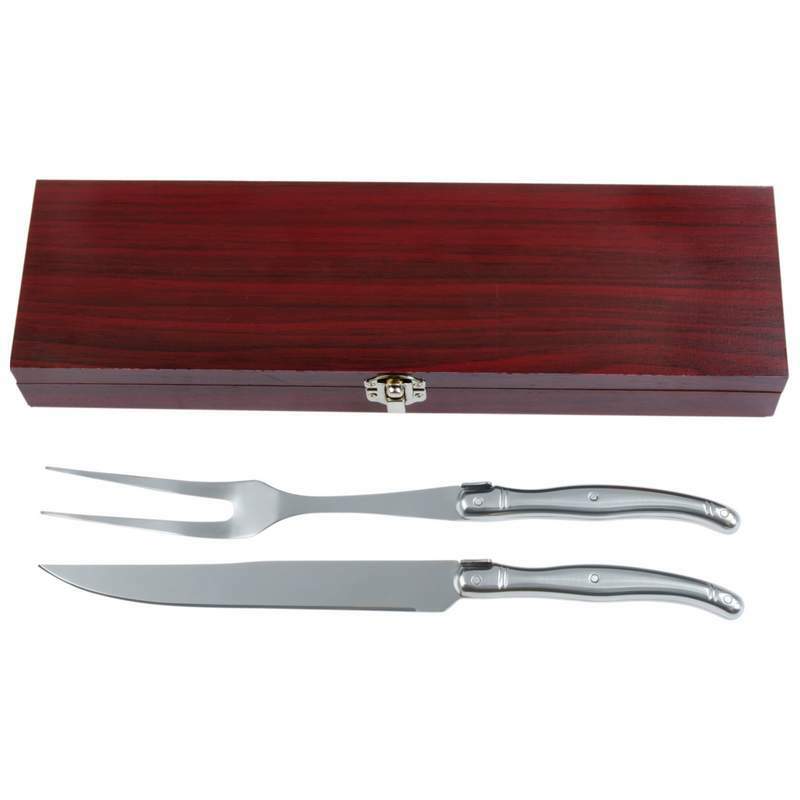 This set includes: carving knife with honed blade, meat fork, and dark cherry wood box. 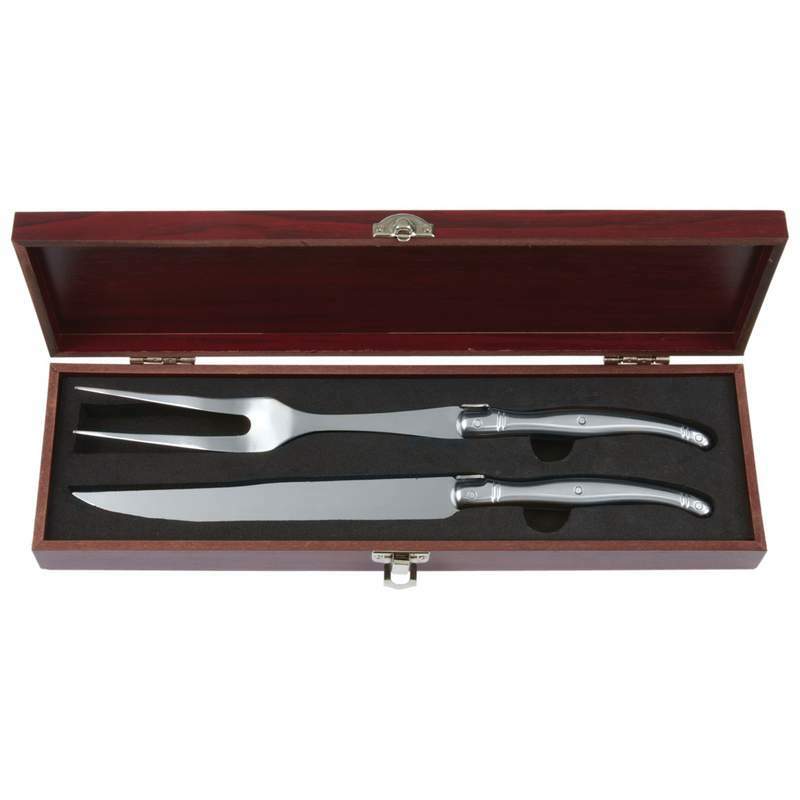 Features full tang, triple rivet stainless steel handles. Measures 13" x 3-1/4" x 1-5/8".